Love is in the air! 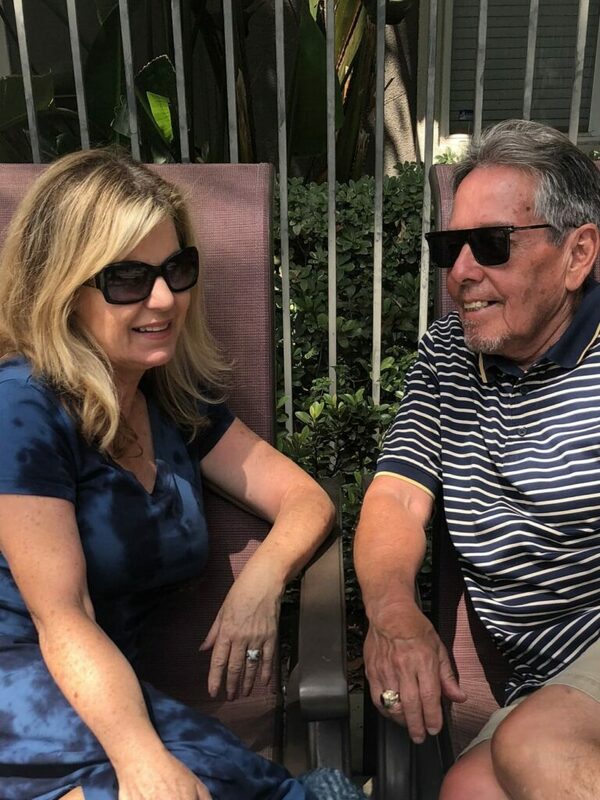 As empty-nesters, my husband and I are enjoying this sweet season of life. We just returned from a road trip up and down the coast of California. We are rediscovering each other now that the kids are married and we are having fun, just the two of us. We will be celebrating Valentine’s Day with sweets, treats and toasting another year together. 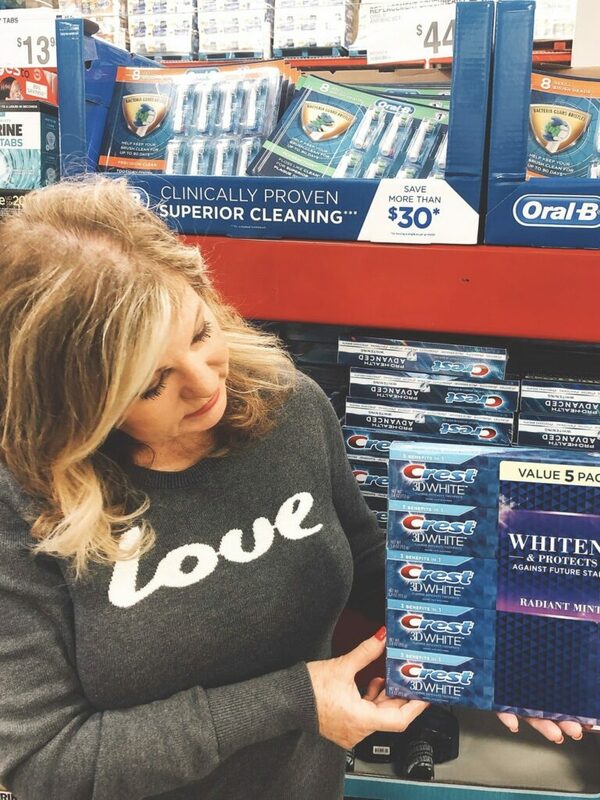 Today we made a trip to Sam’s Club to pick up some of our favorites including Crest 3D White Radiant Mint Toothpaste. I also got some gorgeous red roses. Don’t you just love Sam’s Club? Save, sparkle and smile this Valentine’s Day! 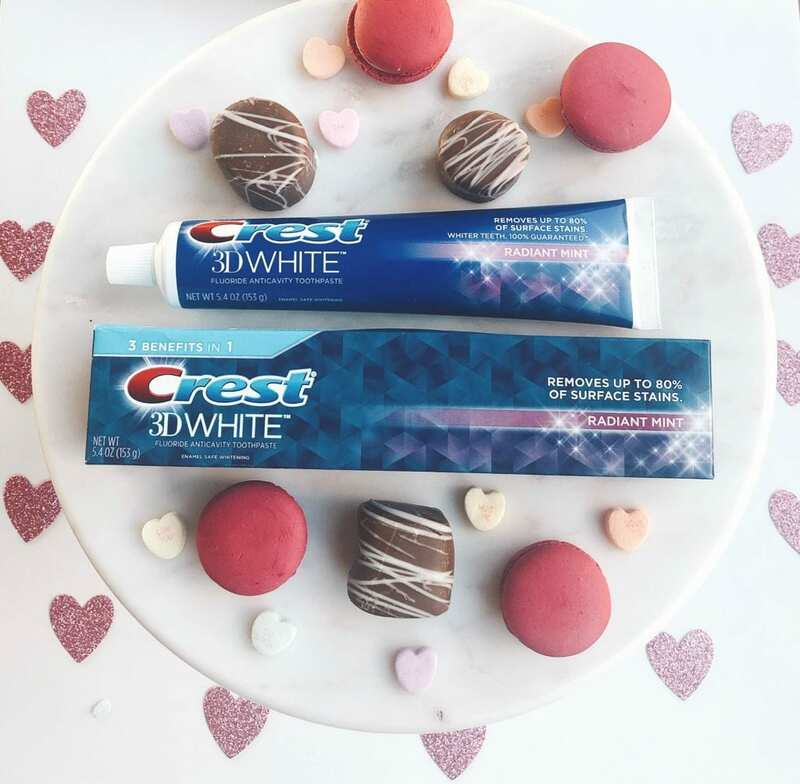 Brighten your smile with a toothpaste that not only whitens teeth safely, it also removes surface stains and freshens your breath. It leaves you with a clean feeling and brighter teeth. It’s a real multi-tasker and isn’t that what you want from your toothpaste? 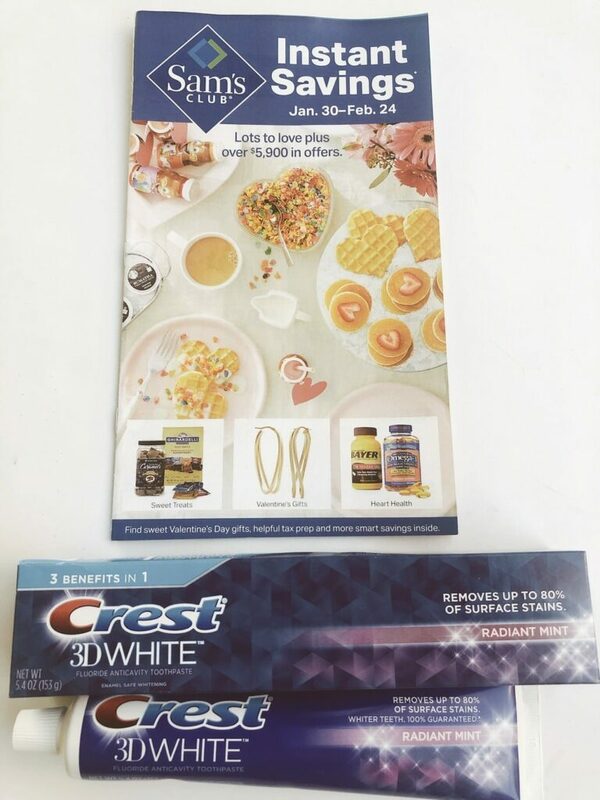 Crest 3D White Radiant Mint Toothpaste is $2.00 off now through February 24th at Sam’s Club both in store and online. You will see the coupon in the Sam’s Club Instant Savings Book. 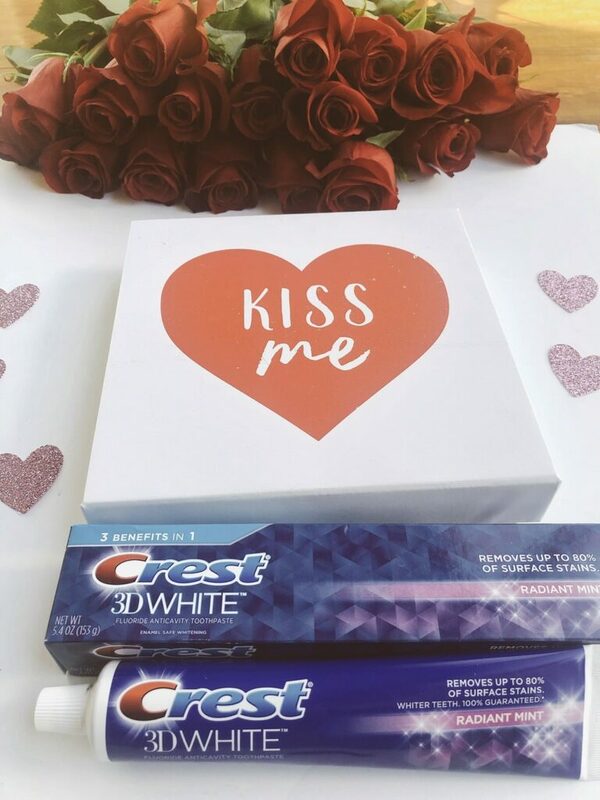 Crest 3D White Radiant Mint Toothpaste uses patented enamel-safe teeth whitening ingredients that polishes away stains to gently whiten teeth. In fact, it removes up to 80% of surface stains and protects against future stains. Its unique formula creates foaming action to clean, protect and whiten teeth with a cool blast of mint as part of your complete dental health regimen. 3D White fluoride toothpaste also strengthens your tooth enamel and helps protect against cavities. I picked up a value 5-pack at Sam’s Club and enjoyed $2 off with Instant Savings! Get yours too – hurry! this great offer is valid until February 24th. Hurry! 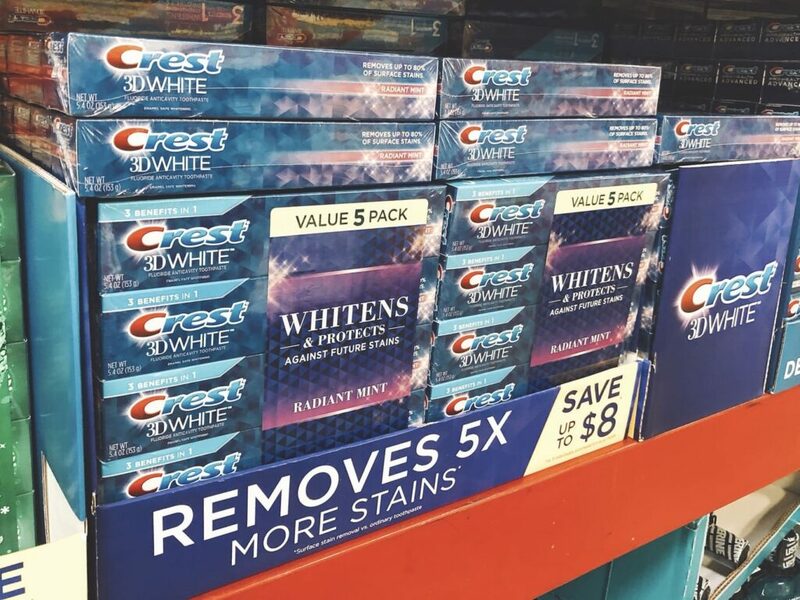 Grab this limited time deal for Crest at Sam’s Club! From now until February 24th, Sam’s Club shoppers can receive $2 off any Crest® and/or Oral-B® (limit 3) at Sam’s Club stores. Receive the $2 savings online or through the Sam’s Club Instant Savings Book. The $2.00 off Instant Savings will come off automatically at the register. Simply put, Sam’s Club Pickup is genius, especially if you have kids in the car. It could not be any easier. Club Pickup is a free service that lets Sam’s Club members order items online from their local store and then schedule a pick-up time that works best. I recommend downloading the free Sam’s Club app. Log in to your samsclub.com account and add items to your cart. Pull up to the Club Pickup location. The signs are prominently displayed. Check in on the app to let Sam’s Club know you have arrived. Your items will be loaded into your car by a Sam’s Club associate. Items not eligible for Club Pickup include jewelry, apparel, alcohol, mobile phones, books, music, magazines, memberships, prescriptions, and extended warranties.